Welcome to Amarillo Podiatry, P.A., your experienced podiatrist in Amarillo. We hope you find our website informative and helpful as you search for a Amarillo podiatrist you can trust. We’re confident you’ll find an unmatched quality of care from the foot and ankle specialist at Amarillo Podiatry, P.A. Foot pain is never normal. Bearing the brunt of your entire body’s weight, when your feet ache, your entire body aches. With proper diagnosis and treatment, most foot and ankle problems can be treated successfully. Amarillo Podiatry, P.A. will listen to your symptoms and provide you with an individualized treatment plan to return you to those activities you enjoy the most! Our doctors and staff take the time to listen to your concerns, and then use the latest treatments and technologies to treat them. Let Amarillo Podiatry, P.A. be your choice for podiatrist in Amarillo for all of your foot and ankle needs. Dr. Christopher Jones completed his undergraduate studies at Harding University with a Bachelor of Science in Biology. 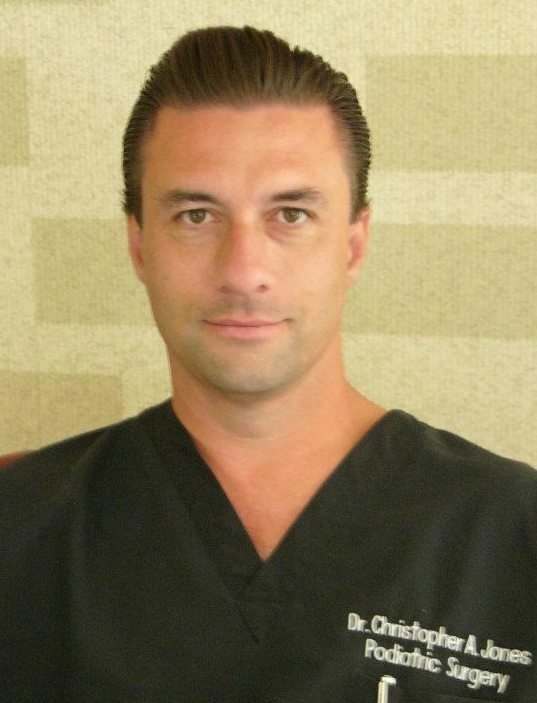 Dr. Jones graduated from the Ohio College of Podiatric Medicine in Cleveland, Ohio.